President Obama's newly confirmed regulatory czar defended the possibility of removing organs from terminally ill patients without their permission. 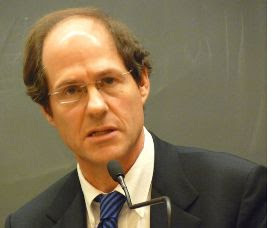 Cass Sunstein also has strongly pushed for the removal of organs from deceased individuals who did not explicitly consent to becoming organ donors. In his 2008 book, "Nudge: Improving Decisions about Health, Wealth and Happiness," Sunstein and co-author Richard Thaler discussed multiple legal scenarios regarding organ donation. One possibility presented in the book, termed by Sunstein as "routine removal," posits that "the state owns the rights to body parts of people who are dead or in certain hopeless conditions, and it can remove their organs without asking anyone's permission." "Though it may sound grotesque, routine removal is not impossible to defend," wrote Sunstein. "In theory, it would save lives, and it would do so without intruding on anyone who has any prospect for life." MAN: Hello. Uhh, can we have your liver? MAN: Your liver. It's a large, ehh, glandular organ in your abdomen. MR. BROWN: Yeah,-- yeah, I know what it is, but... I'm using it, eh. MR. BROWN: Hey! Hey! Stop! MR. BROWN: Stop! Hey! Hey! Stop it. Hey! MAN: A liver donor's card. Need we say more? MR. BROWN: Listen! I can't give it to you now. It says, 'in the event of death'. MAN: No one who has ever had their liver taken out by us has survived. We need a little humor to make it through. Cass Sunstein wrote: "the state owns the rights to body parts of people who are ... in certain hopeless conditions, and it can remove their organs without asking anyone's permission." BTW: That is a excellent selection Dan. However in Red China the state uses mobile rapid response surgical vans to "harvest" organs from condemned (and occasionally not quite dead yet) convicted criminals and political dissidents. I volunteer Mr Sunstein heart and brain. I have every right since he's not using them.